Why are Pure Henna and Indigo by Renaissance Henna the Safest Hair Dye Brand ? 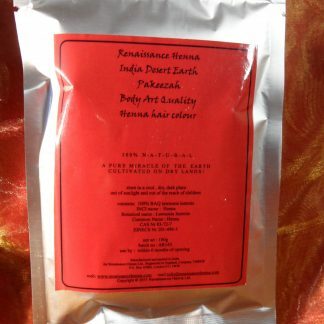 Henna dye comes from the crushed leaves of the henna plant and its botanical name is lawsonia inermis. Indigo dye comes from the crushed leaves of the indigo plant and its botanical name is indigofera tinctoria.For centuries these two plants have been used to colour hair safely and to heal the body. 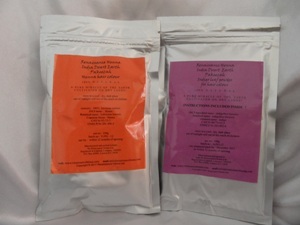 They are considered the safest natural hair dye brand from nature around many parts of the world. However, indigo is not as well known as henna so you whilst you may be familiar with the red orange dye that comes from from henna, you may not know that indigo after henna produces natural brown hair colour and natural black hair colour . They go together. If you’re aiming for red and auburn hair tones, then straight henna is for you. But if you’re aiming for a more muted natural brown to black hair colour, then you need indigo to go with your henna. We talk you through the best method of application in the Henna Guide Booklet which accompanies our Renaissance Henna Natural Hair Dye Kit . 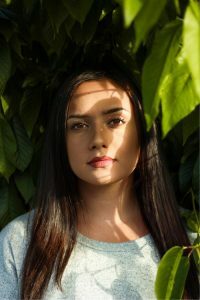 The difference between henna and indigo and chemical hair dyes is that, firstly, herbal hair colour is natural and has never been known to kill or to damage health – they are well known for their benefits. 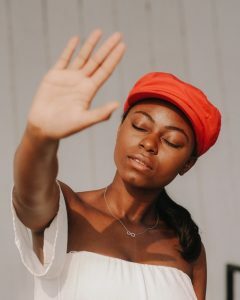 And, secondly, henna and indigo leave well alone inside your hair and do not disturb the natural chemical make up of the hair that you were born with. The henna colour coats each individual hair shaft without infiltrating it and is self sealing. It locks itself onto your hair and makes it feel immediately thicker, fuller, and altogether more alive. The exception is grey hair – henna will penetrate the inner hair shaft of grey hair and dye it red orange, but using indigo immediately afterwards will turn it a natural deep brown to black hair colour, depending how long you leave the indigo in for. Chemical hair colours work by first causing swelling to the hair shafts and actually opening them up – that’s what makes your hair feel fuller when you’ve used a chemical hair dye. They open up and permeate each hair shaft, flood the cortex of each hair with some degree of hydrogen peroxide to “strip” the natural colour, and then invade big time with military precision by infiltrating and depositing toxic chemicals into your hair strands. The underlying aim – with your full consent – is to remain there as long as possible. You might feel good after a chemical hair dye but, if you’re dying your hair in this way, I believe you’re killing yourself softly. Those toxic chemicals enter the bloodstream and the nervous system through inhalation – and possibly through the scalp as well – and do all sorts of damage. They don’t all contain PPD. It’s generally the dark hair dye colour that contain the dangerous PPD chemical. However, the synthetic chemicals in most mainstream leading brand hair dyes are very different to the naturally occurring chemicals in earth grown plants like pure henna and pure indigo. Would anyone really consider these to the safest hair dye brand? Take a look at the hair dye ingredients in the product which caused Natalie’s hair dye reaction. Hair Dyes & Cancer Link…bladder cancer… rheumatoid arthritis….can it get much worse ?? b) there still appears to be a link between hair dyes and cancer. Further, there appear to be on going concerns based on in depth research which establishes a link between the use of hair dye and rheumatoid arthritis, and between the use of hair dye and bladder cancer. Can it get much worse than this? The bottom line is that the beautiful and glorious images which the commercial hair care industry are mass marketing are poison. Are they killing us softly with their song? Information on the safety of henna and indigo hair colour for cancer patients. 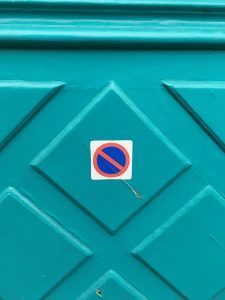 Information on PPD Hair Dye Allergy and chemical hair dye. Don’t be confused by some “organic and mineral “hairdressing natural hair colours which claim to be free from hydrogen peroxide and ammonia and yet contain PPD or other potentially harmful synthetic chemical ingredients. Would anyone really consider these to the safest hair dye brand ? Everything that deceives may be said to enchant. Pure Henna for Hair – Maybe not Nice ’n Easy, but Definitely Love ’n Respect ! 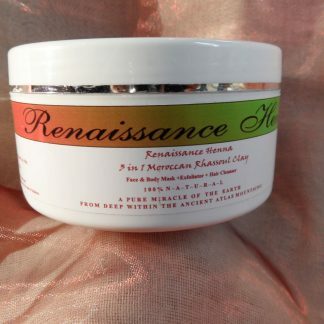 Renaissance Henna is passionate about the fact that plant hair dyes are the safest hair dye brand.Pure henna and indigo are pure and natural herbal hair dyes, and may naturally strengthen your hair. They are generally considered to be hair and health friendly. These herbal hair dyes blend with your hair to give natural hair colour. The safest hair dye brand or brands will always use 100% pure plant ingredients. What colour will you get with henna? On darker hair shades like black and brown, you’ll just be able to decipher a somewhat deeper hair tone which enhances your own natural hair colour and shimmers in the light. The natural henna hair dye gives colour which is natural to you, so the end result will always be unique to you. On lighter hair colours like blonde and ash hair colour, the results will be more dramatic, but still beautifully natural. Just henna, used alone, will give you deep auburn hair colour. The key notes of henna are: auburn, burnt red, and rust red hair colour tones. But if you don’t want red hair colour, then you can tone it down to a brown or black hair colour with indigo. Even if you’ve previously used hair dyes, you’ll still get beautifully blended hair colour which is totally unique to you. You’ll need to explore the Hair Colour Gallery to grasp how it all works. Whether it’s funky hair colour or natural hair colour you’re after, you will get translucent colour that shimmers in the sun and reflects light. You may even come to think of them as the safest hair dye brand nature has to offer. Pure Henna slightly deepens your existing hair colour and pushes lighter hair colours to the red auburn spectrum and darker hair colours to brown with mild auburn undertones. What’s your auburn ? Cassia obovata is commonly confused with henna and mistakenly known as “colourless henna” or “neutral henna”. But it comes from an altogether different plant. When the leaves are crushed, it looks similar to henna leaf powder but is lighter in colour. It promotes healthy, soft and shining hair, and is also reputed to help clear dandruff. Cassia obovata is for deep hair conditioning and, on blonde hair, it will naturally highlight the blonde without changing hair colour. On darker hair colours it will not give any noticeable colour. Cassia obovata can be combined with rhubarb root for an even deeper hair conditioning treatment and to further enhance golden blonde hair colour tones. And it can be combined with just a touch of pure henna for strawberry blonde hair, and also with acacia catechu for copper blonde or copper highlights in blonde hair. You can add cassia obovata to your henna mix , or use it on its own. You will find cassia obovata is one of the best natural hair conditioners and hair booster that nature can offer you. 100% Cassia obovata in any product is definitely nature’s purest and safest hair dye brand ! Henna coats hair with herbal colour and with protection. Henna colours grey hair. Henna and indigo hair colour will naturally protect your hair from the harsh effects of sunlight, cold, and heat. Even regular blow drying will not damage hennaed hair as much as blow drying chemically treated hair . In fact it’s possible that regular blow drying on a moderate heat will not damage hennaed hair at all. Regular use of henna and indigo hair colour may even boost your the immune system and results in the deposit of a wealth of goodness into your blood which contributes towards good health. Correctly used, henna and indigo build up long lasting and vibrant hair colour. You’re likely to find that just about all hairdressers are “anti-henna”. Their concern is how to colour hair safely. You’ve got to remember that if your hairdresser is anti-henna, this is because the hennas which your hair dresser has come across in the past are “compound henna” – henna powder mixed with dyes and metallic salts such as lead acetate which act as fixatives to “fix” the so called henna shade which the manufacturer is marketing. Remember that pure henna does not come in “shades” – it’s always going to be red orange/auburn. Any henna hair colour which contains anything other than just 100% pure lawsonia inermis is likely to be a compound henna dye mix, unless it’s only other ingredient is 100% pure indigofera tinctoria. A compound henna mix is not a chemical free hair dye and it is definitely not the safest hair dye brand. Do get used to reading through the ingredients list on henna powder packets (and on all product packets). It’s the metallic salt fixatives in the compound hennas that get onto your hair and react badly with perms and chemicals in hair dyes and bleach solutions. Any hair dresser who knows what real henna is and what real indigo is will not put you off using it. But the fact is that it’s unlikely that your hairdresser has actually come across pure henna and pure indigo before. By all means, refer them to the Renaissance Henna Natural Hair Colour website. It’s very important to know the difference between a compound henna and pure henna because the two are totally different. Metallic salt chemical cocktail henna has given pure henna and indigo a bad name. And it’s totally undeserved, born out of ignorance and misunderstanding (like so many other prejudices which we harbour in our hearts). Pure henna will never result in fried hair or colour catastrophe. What hair types can use pure henna and indigo? 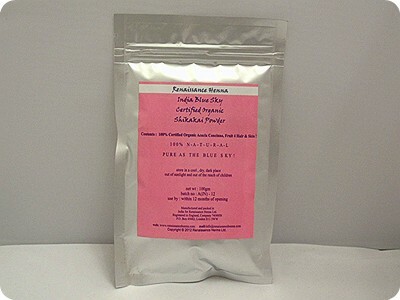 You can use pure henna and indigo safely on any kind of hair whether it’s been bleached, dyed, or permed. 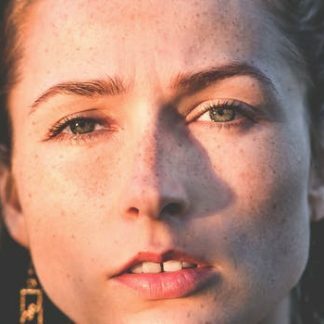 And you can use it pretty much straight away, except in the case of hair that has just been permed or is about to be permed – here we suggest a gap of 2 weeks either way. Other than that, you’re safe to go, but we recommend a waiting period of two weeks. The only reason for the wait is: 1. to rid your hair of chemical build up and 2. to allow for the best possible colour take from henna and indigo herbal hair dyes. 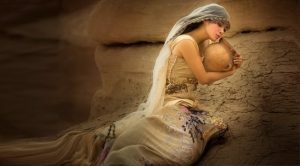 Many henna companies use natural ingredients which is reassuring, but the concern is that they are not all selling 100% natural products and that some companies are not being 100% forthright by disclosing what is in their product before consumers purchase what they might consider to be the safest hair dye brand. Many mainstream herbal hair colour companies produce or sell plant-based hair dye alongside chemical based hair dyes, purely for profit, and not out of a passion for promoting what is the safest hair dye option. There are some major differences between Renaissance Henna natural products and mainstream leading brand “natural products”. 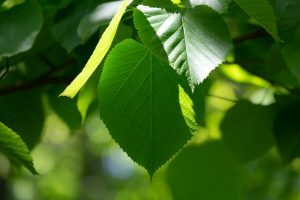 We are passionate about plants and how they can produce and enhance natural hair colour. We want plant based hair dyes to earn their place amongst mainstream hair dyes as a stunning herbal colour that is known as the number one choice for anyone who wants truly natural and effective herbal hair colour. We have specialised in plant dyes since the turn of the century and we provide a professional at home herbal hair dye for you to use safe in the knowledge that we know our colours and we know what we are talking about. We produce carefully sourced henna and indigo, and other plant hair dye products, which are produced according to the highest standards to ensure quality, freshness and potency. All our products, whether certified organic are not, are inherently organic produce and you can rest assured that they have been produced to the standards that most closely match organic standards. We are passionate about henna and indigo and we want to share this with you ! We want you to know that when you purchase your henna and indigo from Renaissance Henna, that our plant and vegetable hair dyes are from a brand that you might consider the safest hair dye brand. We add nothing to our finely sieved henna and indigo, to ensure that you get the safest and purest henna and herbal hair dyes from us. 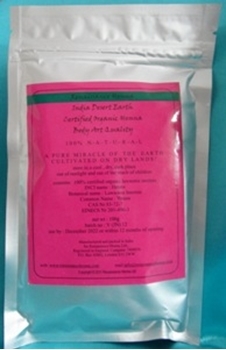 We use indigofera tinctoria to tone orange red henna hair colour to brown and black hair colour. Indigofera tinctoria is the plant which gives the deepest and most lasting natural hair color when used after henna, hence its name “tinctoria” because it gives colour. Interestingly “indigoferae” folium is not a botanical name but a pharmaceutical name, and therefore it is not possible to precisely pinpoint which species of indigo, indigofera folium is. The indigofera tinctoria which we source is the one which gives the deepest indigo colour stain in your hair. You can get brown hair through to black hair, sometimes with slight reddish, burgundy, or blue undertones, depending on how much grey hair, white hair, or blonde hair you have, and depending upon the method of application. You can get effective natural anti grey hair coverage for men and women on 100% gray hair. 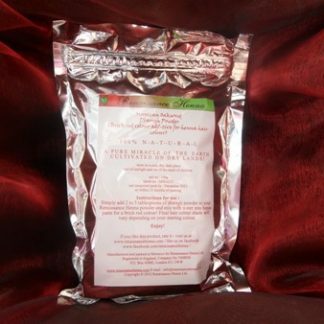 Full instructions come with the Renaissance Henna Natural Hair Colour Kit. Safest Hair Dye Brand ? Steer clear of any site selling a product which does not state the full ingredients. 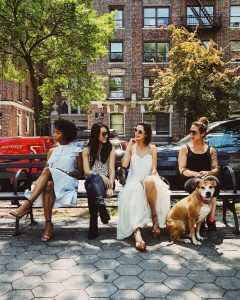 Never be afraid to approach the company directly and ask – that’s the only way to find out. Especially as many companies add PPD to henna which means it’s no longer pure. It’s chemical hair dye so it’s clearly not the safest hair dye brand – watch out ! Some companies use stale henna that doesn’t do the job. And some add perfume to their henna colours as well as clove bud oil. 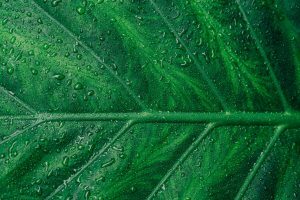 A product with perfume added is no longer 100% pure, and clove oil is a potential irritant as well as having the potential to interfere with colour take. Renaissance henna and indigo (hendigo) are 100% pure and natural hair dyes; they are inherently organic, chemical free hair dyes. They do not contain any added ingredients. They are recommended by dermatologists in the U.K.’s NHS, and across Europe, and are used successfully by hair dye allergy and eczema patients. They are considered by the experts to be amongst the safest hair dye brand /s. We promote the use of henna and indigo on grey hair in two separate steps and provide the powders in separate foil sealed packets to ensure freshness every time. This allows you to control your desired hair colour. Henna is naturally acidic. It gives the best dye release sitting in its own naturally acidic environment. Indigo is naturally alkaline and gives the best dye release in its own naturally alkaline environment. The two pastes must be mixed separately to work effectively. Mixing henna and indigo together will not give you perfect henna / indigo dye release and will not give you perfect colour take on a first time application on predominantly grey hair or 100% grey hair. 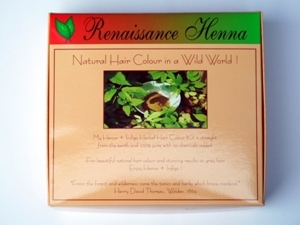 A detailed instructions booklet is included with the Renaissance Henna Natural Hair Dye Colour Kit. Try it and see the difference for yourself – you’ll be amazed ! !